Microsoft's next-gen Xbox One console will change things up plenty when it comes to the company's game and entertainment business, but one thing that's staying largely the same is the way it handles Xbox live accounts. Microsoft executives confirmed with Polygon after the Xbox One announcement on Tuesday that multiple accounts can be used on the same console, and that multiple users can share the same account. In addition, Xbox 360 users with Xbox Live Gold accounts (which cost $60 a year) will be able to use the same accounts simultaneously on the Xbox One and the older console. Gamers are more worried now than ever before about being nickel and dimed by game makers, so some leniency when it comes to accounts is certainly the right call on Microsoft's part. 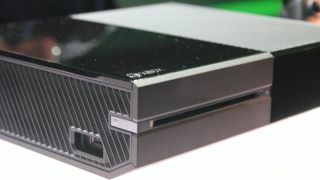 It's unknown at this time what exactly will transfer over to the new Xbox One when users use the same account that they used on the Xbox 360. Microsoft already confirmed that the Xbox One will not feature any backward compatibility with Xbox 360 games, either physical discs or digital downloads. So game saves, even those stored on the cloud, will certainly not transfer to the new system. On the other hand, it's practically a guarantee that "gamer points" earned from unlocking in-game achievements will carry over to the next generation, ensuring we all stay addicted to the reward system inherent in MIcrosoft's consoles. Now that the Xbox One has been revealed, it's time for the ultimate showdown: PS4 vs. Xbox One!